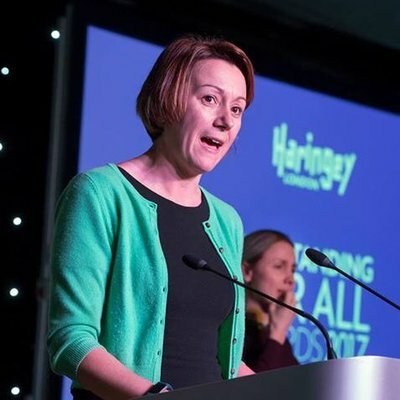 The outgoing leader of troubled Haringey council has said she suffered “threats”, “bullying” and “intimidation” from Momentum activists and suggested Labour’s national executive had acted in a sexist manner. Claire Kober, who last week said she would not stand in May’s elections, gave an outspoken interview to the Andrew Marr Show. The longstanding council leader quit after a row over the council’s planned regeneration scheme, which prompted the controversial intervention of the NEC, which Kober and her allies saw as unjustified. “I don’t believe that a man would be treated the same way,” said Kober, referring to the NEC’s demand for the Haringey development vehicle to be “paused”. “It’s absolutely sexist,” she added. Momentum has said activists expressed legitimate local concerns over the public-private partnership and that it condemns all abuse. Yesterday Kober said there was a “political toxic culture” existing across the country and that some Momentum members “screamed and shouted” during a meeting in which she had proposed a motion about anti-Semitism. She also said activists sang Every Breath You Take, a song by The Police about stalking, in an act of intimidation at the end of a council meeting. Corbyn’s biographer Alex Nunns took to Twitter to remark that Kober’s explanation would “make more sense if some of her allegations didn’t predate the left winning a majority on the NEC”. While the statement of a sexual harassment complainant is first looked at by a panel of NEC members, an internal complaint about sexism would go to the GLU. Kober, who has been in post for ten years, announced last week that she would step down. The Haringey development vehicle has been criticised by local left-wing activists and the borough’s Labour MPs David Lammy and Catherine West over claims of a lack of consultation and that it serves as a poor solution to local housing needs. The newly elected NEC, which now has a majority of Corbyn supporters, called for Haringey council to pause the HDV plans after 22 councillors wrote to the committee requesting their intervention. This article was amended on 9th February to clarify that a complaint about sexism would be addressed by the GLU.